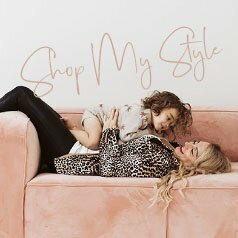 From the minute we planted roots back in Southern California, we were ready to pursue the path to stardom for our little ones. 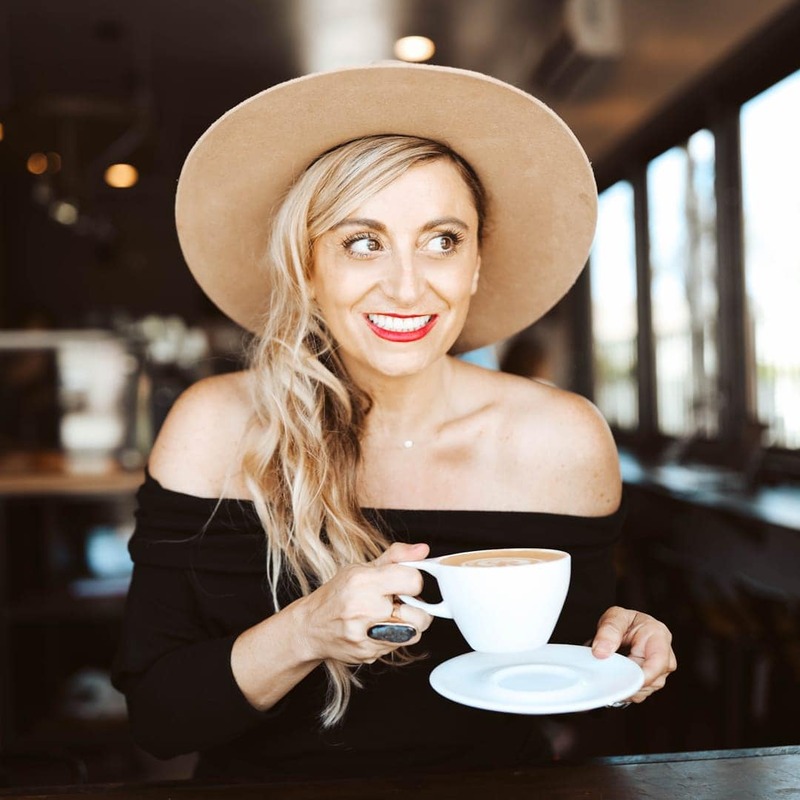 Whether behind-the-scenes, or in front of the camera, I have been involved in the film and entertainment industry in one way or another, dating back to my college days. 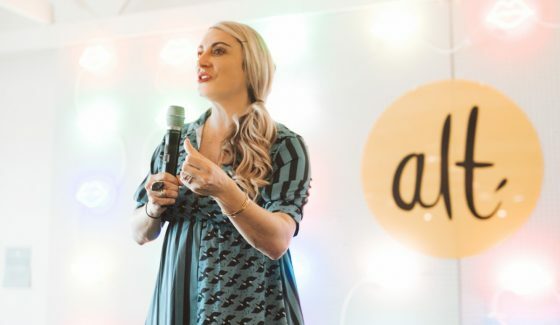 Now, as a mom with kids and cameras attached at both hips, I’m seeing that they’re just as comfortable in front of the lens as I am behind it. 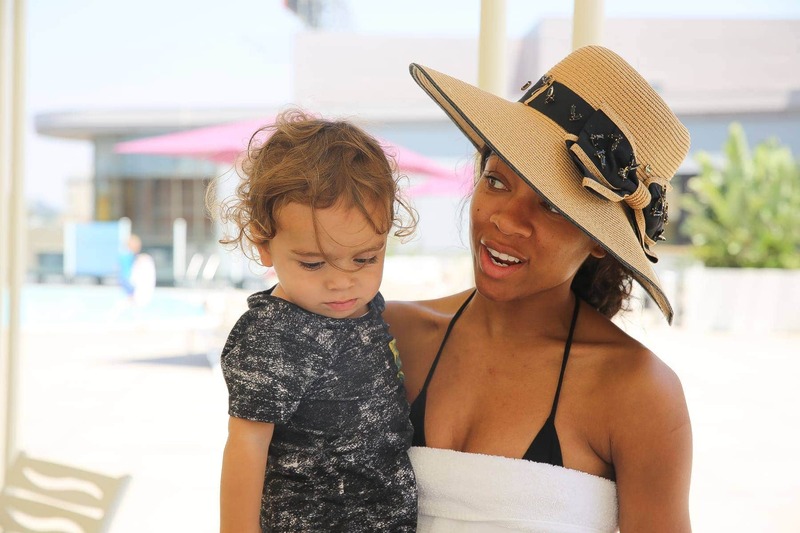 If you ask me, they’re naturals (thanks to mamarazzi). And, so the story goes. 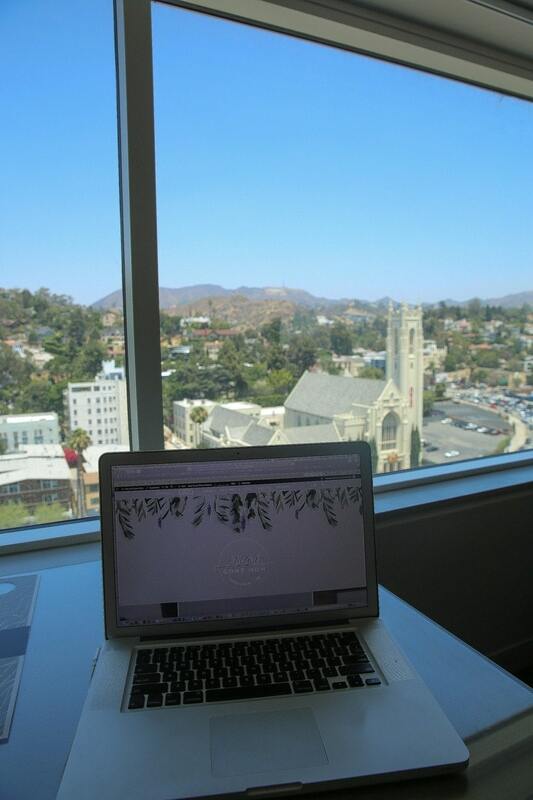 Back in California and living closer to where all the magic happens, we embark on the climb to getting discovered. 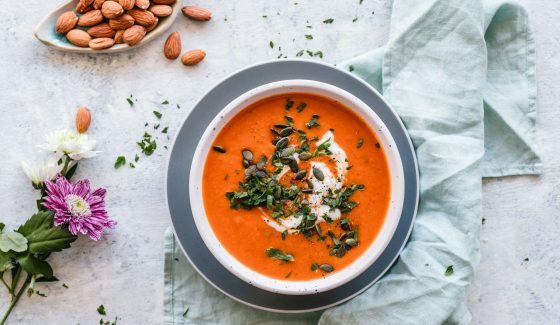 California is a fantastic place to visit for anyone who wants to, you could even stay there in style if you wish to experience the celeb lifestyle. If you can find somewhere like StayTony or somewhere similar to stay. Amidst all the excitement of living out our dreams on the west coast, every time we make the trek up to LA we are reminded that we’re just one family among millions who love to call this place home. Driving to LA from (north county) San Diego is roughly 100 miles, and can be a breeze at times, arriving in LA in less than two hours. The drive back south, on the other hand, is like trying to escape Alcatraz. 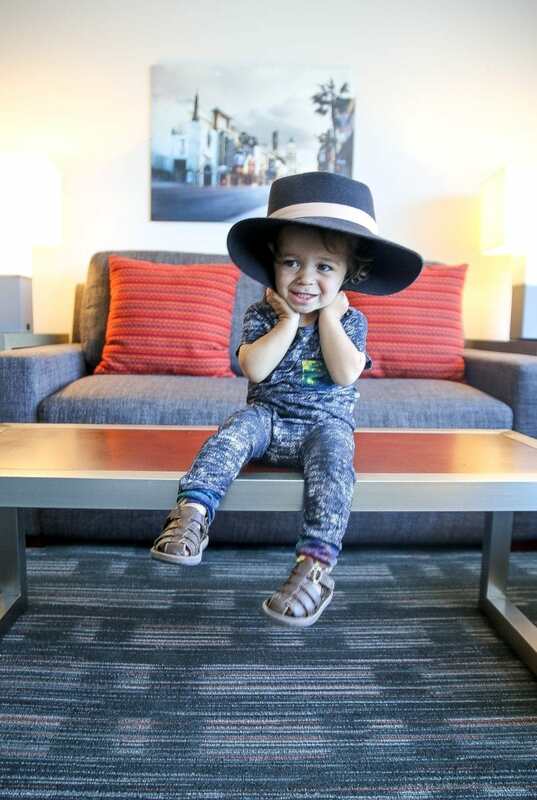 LA doesn’t allow you to leave at times, and if you miss your window before 2pm, you’d better be prepared with a three-hour playlist and lots of entertainment for the little ones. Sometimes my children book jobs and have commitments in LA that require us to stay for more than a week’s time. In these situations, commuting is not an option. And during the summer, school is out and we’re ready for anything! 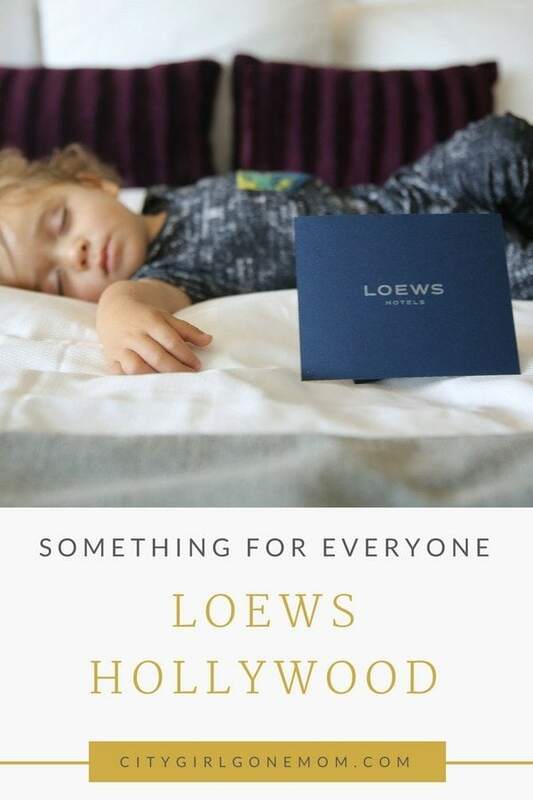 On a recent trip, we discovered Loews Hollywood, which made for the perfect home base while the kids pursued their acting dreams. Loews Hollywood is conveniently perched right in the middle of it all. The sign. The hills. It’s the perfect urban oasis for anyone who’s moving and shaking things up in the industry. 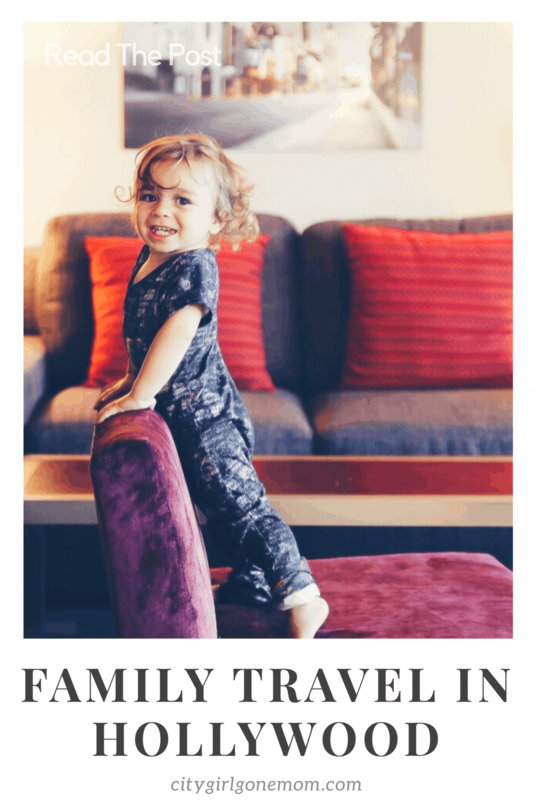 Located on the corner of Stars & Dreams, (no, really Hollywood and Highland), this luxurious hotel thrives on hospitality and we immediately felt it upon our arrival. On a stroll around this lush hotel, we discovered the rooftop pool. Never underestimate the power of a rooftop pool in La-La Land. 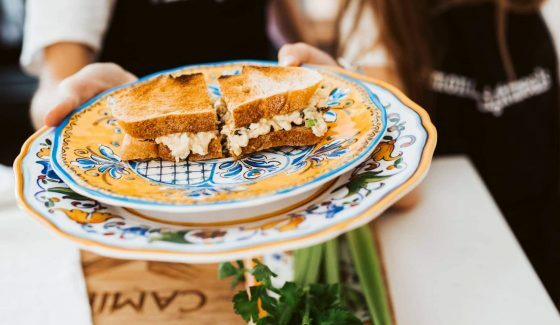 Celebs flock to these hollywood hotbeds all summer long. 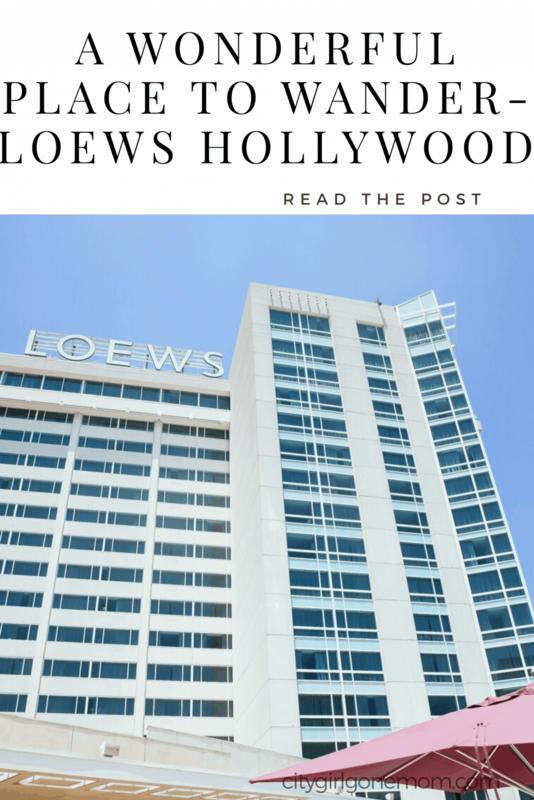 They, too, find the Loews Hollywood a wonderful place to wander. The staff was welcoming and enthusiastic, offering plenty of tips for where to go, what to eat and what to see. We didn’t have to go far because anything and everything was offered either at the hotel, or walking distance. The on property H2 Kitchen offered every type of fanfare from Spicy Poke Tacos to Crispy Wings. Our kids loved stopping at the Bodega located by check in to grab an assortment of candy and lunch on-the-go. A great stop for mom too, seeking healthy food and nutrition on the run. 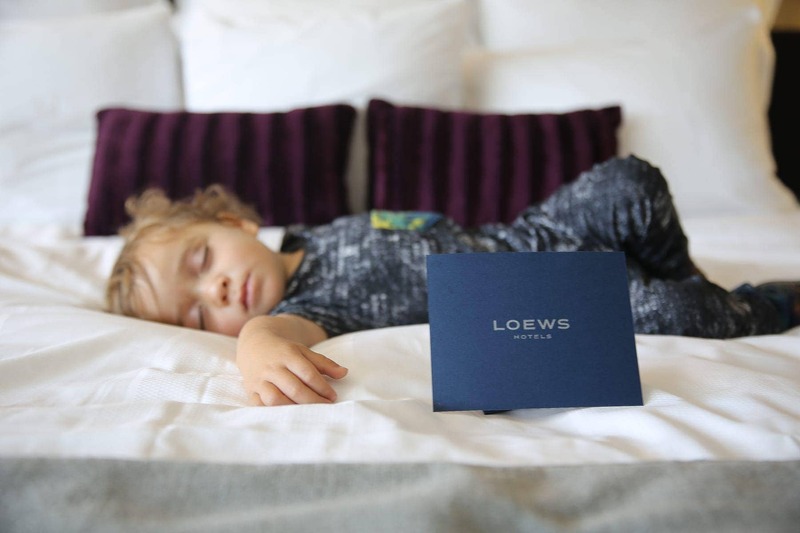 Our little rising stars can sleep just about anywhere, but mom on the other hand appreciates sprawling spaces and panoramic views. 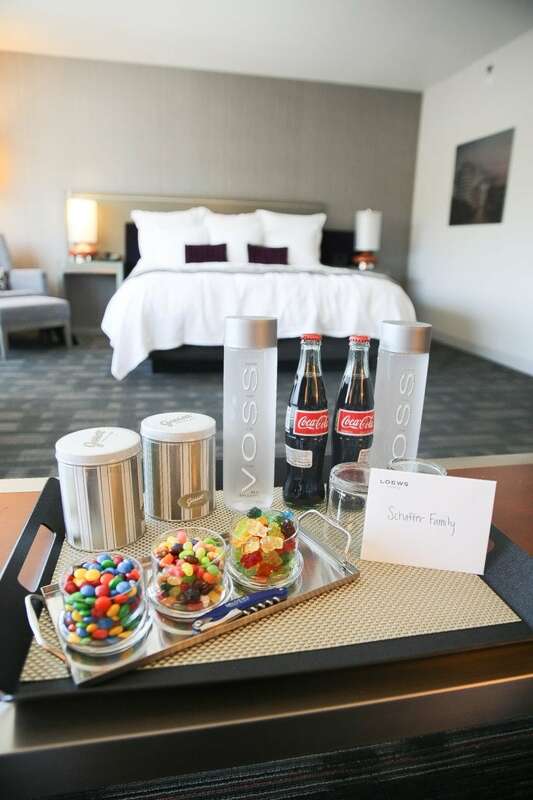 Loews Hollywood did not disappoint. Our guest suite made for the perfect home away from home for our crew, with two bathrooms and a comfortable seating area that helped when the kids wanted to take things down a notch. 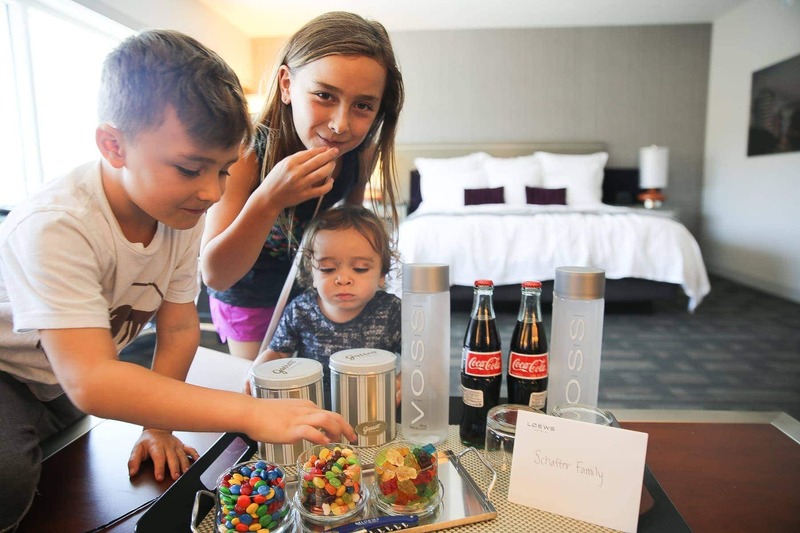 A must have amenity for any family of six! 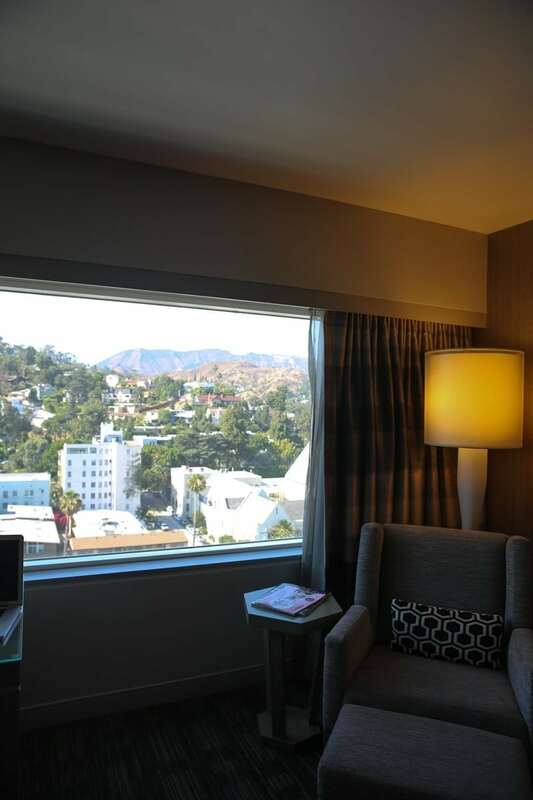 The Loews Hollywood is top notch in every way, and was just the star studded sanctuary we expected in the heart of Hollywood. 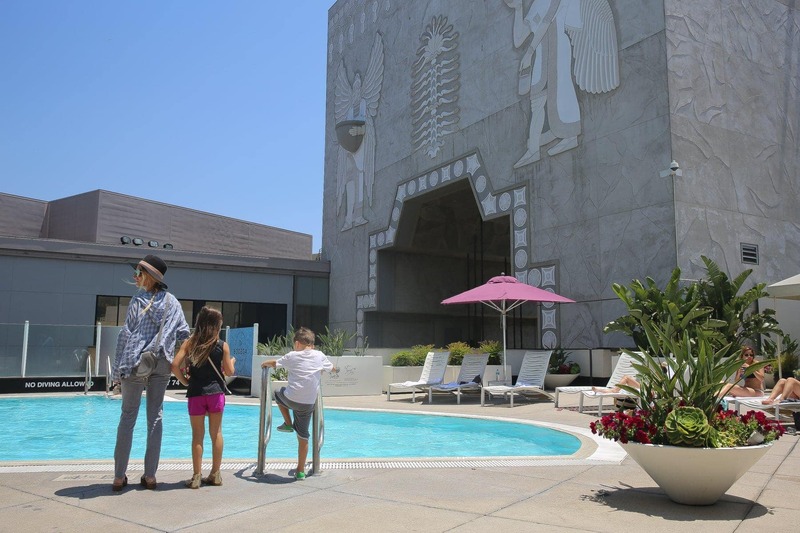 My kids naturally loved the rooftop pool, and I simply enjoyed checking out the different walks of fame right inside the hotel. 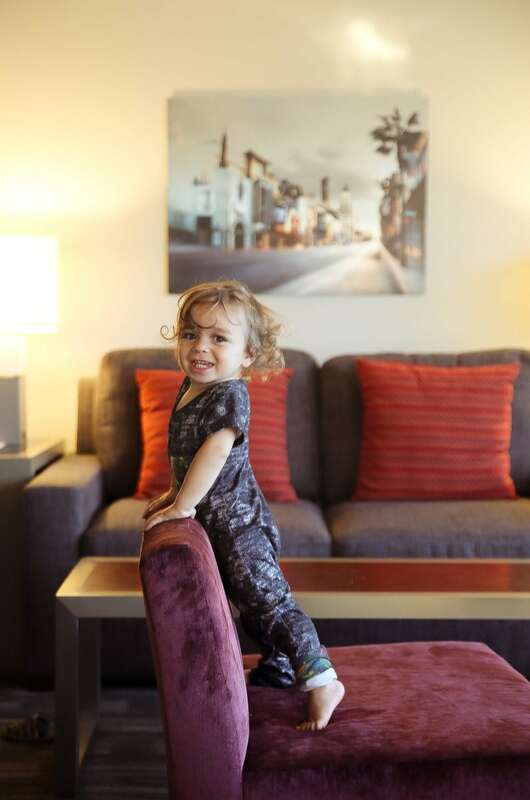 With a backdrop of the uninterrupted Hollywood hills and an expansive rooftop illuminated by all the glitz and glamour LA can offer, the Loews Hollywood is winning with a lively scene for those traveling alone, or with kids in tow. 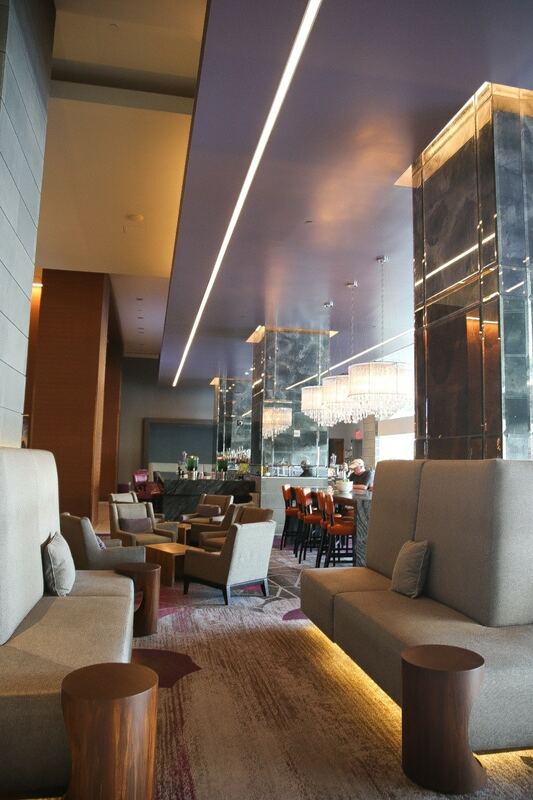 It is the ideal destination if you are in Los Angeles to unwind, socialize or even pursue the Hollywood dream. In our case, Hollywood was calling. 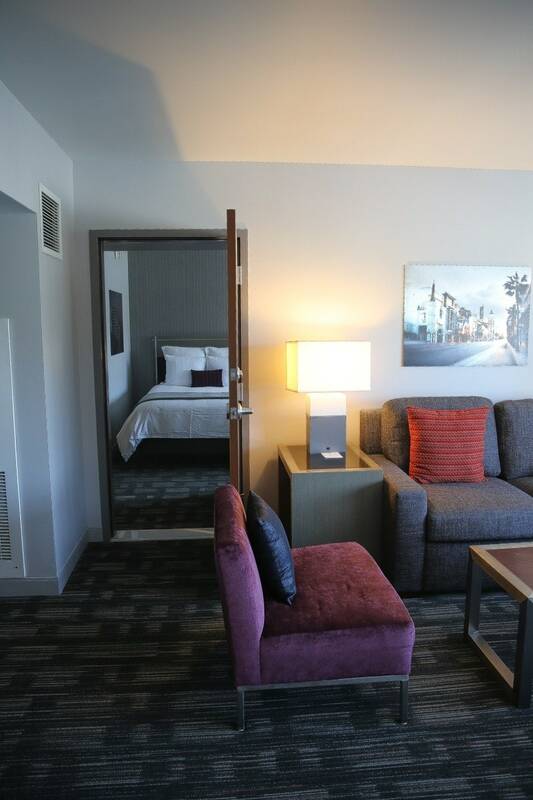 Thank you, Loews Hollywood, for allowing us to pursue that dream with convenience, comfort and cachet. 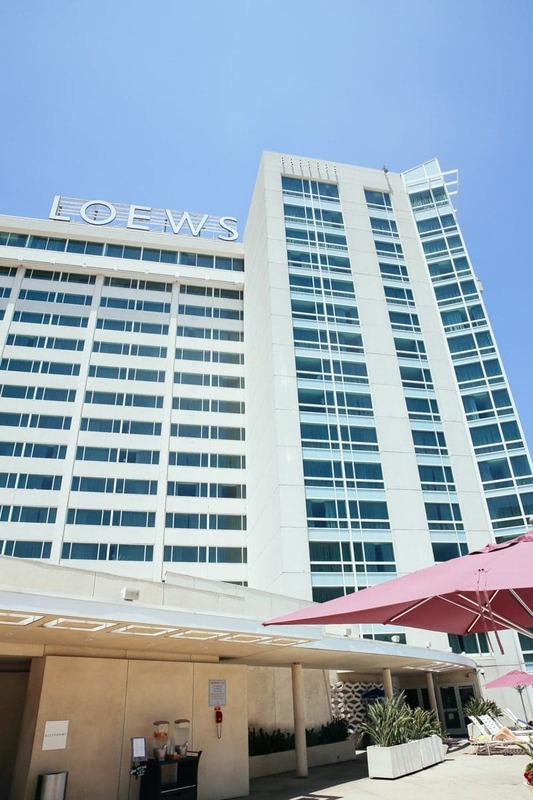 For more information on Loews and to see if they are in a city near you, click here.